As on November 5, 2015, the president of Maldives, Abdulla Yameen has declared a 30-day emergency across the country. The emergency has been declared as a bomb was found and defused near the Presidential Building, ahead of a planned anti -government rally. 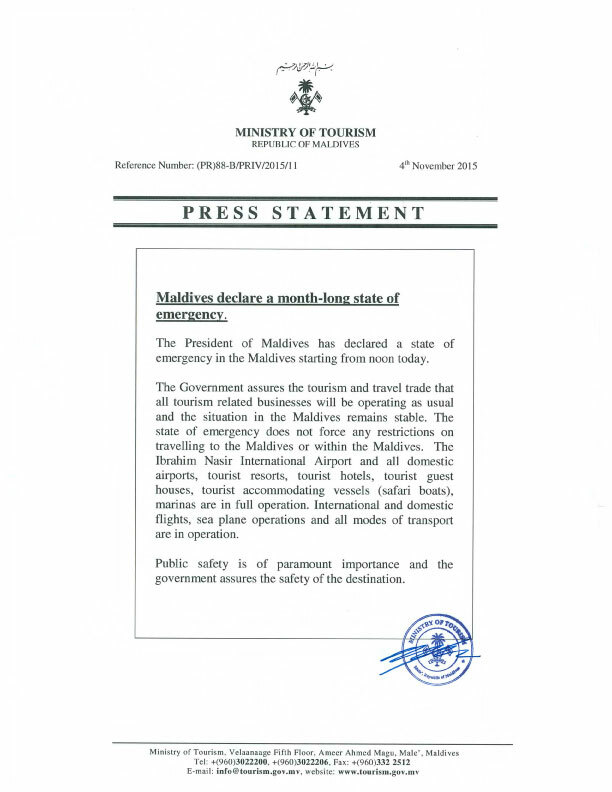 The Government of Maldives has however assured that all the activities related to travel and tourism shall not be affected. It is advised that tourists should take extra precaution and follow local advice. The authorities have taken up public security as the utmost important factor and have accorded responsibilities conforming to the safety of the people.